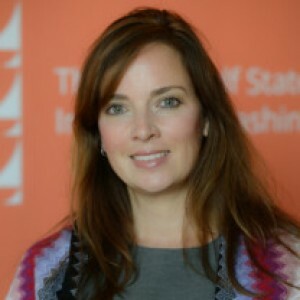 Karen E. Young is a senior resident scholar at the Arab Gulf States Institute in Washington. She is an adjunct faculty member in political science at the George Washington University and Johns Hopkins School of Advanced International Studies. She served as a research fellow at the London School of Economics and Political Science, Middle East Centre, from 2014-15 and was affiliated as a visiting fellow in 2013, and again from 2015-17. She served on the faculty of the American University of Sharjah as an assistant professor of political science from 2009-14. Prior to joining AUS, Young worked at New York University’s Tisch School of the Arts and the College of Arts and Science. Her current research focuses on the political economy of the Gulf.Her first book, The Political Economy of Energy, Finance and Security in the United Arab Emirates: Between the Majilis and the Market, was published by Palgrave Macmillan in 2014. She writes a column, Market Watch, for AGSIW. Her work has been published by Oxford Analytica, the Washington Institute for Near East Policy, the Conservative Middle East Council, The National, Gulf News, Journal of Arabian Studies, Georgetown Journal of International Affairs, Current History, Gulf Affairs, Security Dialogue, World Politics Review, and Middle East Policy, among other outlets. She has appeared frequently as a commentator/analyst on Al Jazeera and CNBC Arabia, and her comments have appeared on NPR and CBC, as well as in The New York Times, The Washington Post, Al Arabiya, and regional financial media outlets.Young holds a PhD in political science from the Graduate Center of the City University of New York, an MA from Columbia University, an MA in international economic relations from the Universidad Andina Simon Bolivar, and a BA from Wellesley College. Her scholarship has been supported by the Fulbright Program, International Research and Exchange Board, American Council of Learned Societies, Woodrow Wilson Center, U.S. State Department Middle East Partnership Initiative, APSA MENA Fellows Program, Carnegie Corporation, and Emirates Foundation (via LSE).